Modern Mechanical is a Veteran-owned small business and full-service company dedicated to the repair and maintenance of your home’s mechanical systems, and to progressive and environmentally sound options when you are in the market for new heating and air conditioning, plumbing and electrical systems. Founded in 2010, we have built an exceptional reputation in the Northern Virginia area due to a deep and lasting commitment to our customers, our employees, our community and our planet. Modern Mechanical’s Peace of Mind Guarantee is our promise that we stand behind the work we do. We engage in continuous training and product education so that our technicians are always on the leading edge of your mechanical systems’ maintenance and replacement requirements. We know that your time is valuable, so we ensure that our technicians arrive on time, equipped with the expertise and the materials they need to provide prompt and effective service. We offer a comprehensive, inexpensive and innovative array of service plans so that all your mechanical systems operate smoothly year-round. When we opened for business, we pledged to provide prompt, high-quality heating, air conditioning and plumbing services at a fair price. We wanted to differentiate our business from others in the marketplace by operating with the highest level of professionalism, leveraging our knowledge of the latest available technologies, and acting on our strong commitment to the community. We have now enhanced our services for customers and employees by joining forces as an independent owner and operator of three national brands. 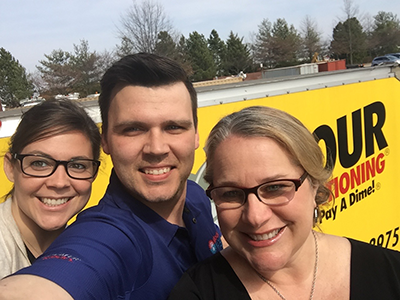 The Modern Mechanical owners you have come and know and respect, Shawn Mitchell and Pete Danielson, are still at the helm, report to work everyday in our Ashburn office and will remain in their respective positions – our leadership has not and will not change. Our new brands include: One Hour Heating & Air Conditioning®, recently ranked #1 in the HVAC services category in Entrepreneur magazine’s Franchise 500;Benjamin Franklin, the Punctual Plumber®, a nationwide plumbing franchise built on the core values of competency and respect for the customer; and Mister Sparky®, a leading residential electrical service and repair franchise throughout the eastern United States, whose brand strength begins with an on-time guarantee. We are also proud to feature MM Solar, our own progressive solar installations enterprise. Each brand shares our original commitment to impeccable and timely service, unsurpassed quality of work and fair pricing. Together, the four brands will better serve our clients and provide the most comprehensive service plans available in the Northern Virginia area. We are proud to be an EnergyStar Retail partner, and a Loudoun County Certified Green business. We were recently awarded the Patricia Trammell Award for Excellence for our Green Initiatives by the Loudoun County Chamber of Commerce. We responsibly dispose of all recyclable materials and hazardous waste. Our commitment to our community’s wellbeing reaches far beyond our day-to-day operations: We are actively involved in a variety of local enterprises, including civic groups, first responders across Loudoun county, food banks, animal adoption programs and car seat safety. You can depend upon Modern Mechanical and our family of companies when you want a highly professional, prompt and comprehensive repair/replacement service for your home’s major mechanical systems—and for your peace of mind. 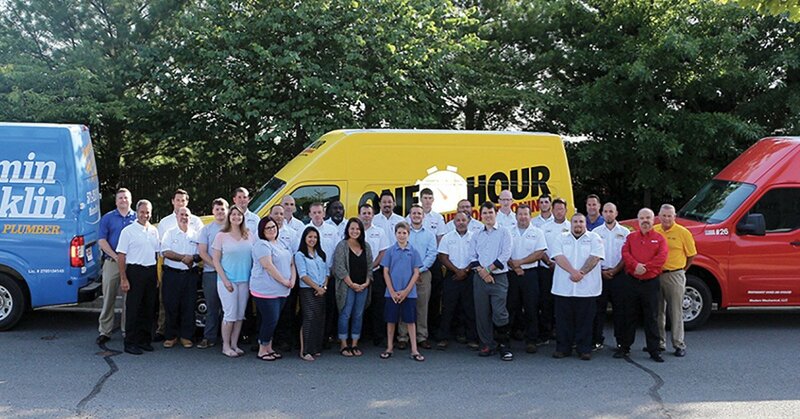 We look forward to meeting you and servicing your home.